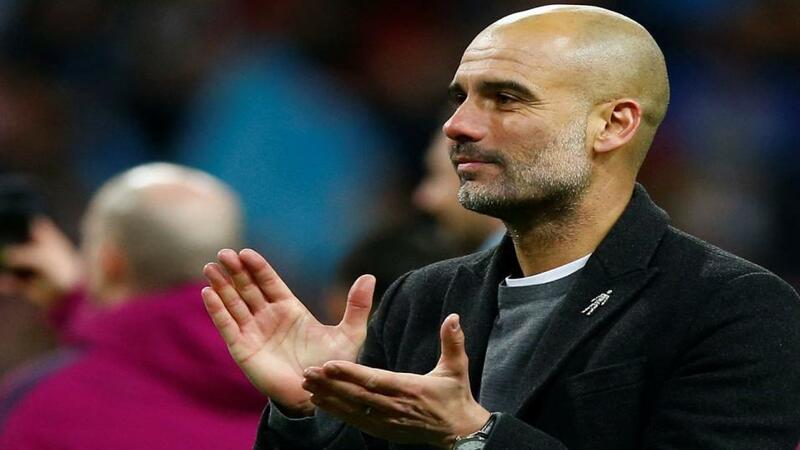 Will Pep Guardiola be applauding his Manchester City team after their match with Watford? Will Manchester City continue their winning streak when they take on Watford? Opta reveals all. "Man City’s Raheem Sterling has had a hand in 14 goals in his 12 Premier League games this season (8 goals, 6 assists), more than any other player in the competition." Sterling is [2.4] to find the net. Watford are winless in their eight Premier League meetings with Man City, losing each of the last six in a row (D2). Manchester City are [1.32] to win. Manchester City have scored at least twice in their last eight meetings with Watford in all competitions, winning all eight by an aggregate score of 27-4. They are [1.91] to win half-time/full-time. Manchester City's last two away league games against Watford have seen them win 5-0 and 6-0 - the only team to score 5+ goals in three consecutive top-flight away games against an opponent is West Brom vs Birmingham, between December 1957 and April 1960. Over 4.5 goals is [4.3]. Only Preston in the first ever football league campaign of 1888-89 (+43) have had a better goal difference 14 games into a top-flight season than Man City's +37 this term. Over 3.5 goals is [2.4]. Watford have beaten the reigning champions at home in each of their last two Premier League campaigns, beating Leicester 2-1 in 2016-17 and Chelsea 4-1 last term. A Watford win is [11.5]. Watford have won just two of their last 10 Premier League games (W2 D2 L6), having won each of their first four this season. The draw is [6.2]. Manchester City are unbeaten in 13 away Premier League games, winning 10 and drawing three. In that run they've scored 30 goals, while conceding just five and never more than once in a match. City are [2.3] to win to nil. Watford have lost three of their last four home Premier League games (W1), as many as they had in their previous 15 at Vicarage Road (W8 D4 L3). The draw half-time/Watford full-time double result is [4.6]. Manchester City striker Sergio Aguero has scored 10 goals in six games against Watford in all competitions, including a hat-trick in this exact fixture last term. Aguero is [1.8] to score. Man City's Raheem Sterling has had a hand in 14 goals in his 12 Premier League games this season (8 goals, 6 assists), more than any other player in the competition. Sterling is [2.4] to find the net.